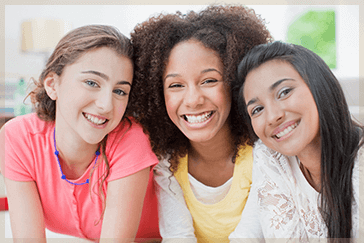 All of the female doctors at Mission Obstetrics and Gynecology in Warren, Michigan use a comfortable and educational approach to address sensitive issues regarding adolescent care and health education. As mothers and practitioners, it is important to us that teens understand how their bodies work and the possible consequences of their decisions. We are dedicated to educating teens in a respectful and friendly manner and providing them with the best in female health. Please call our office at (586) 574-1313 to schedule an appointment for your daughter with one of our female doctors. Sexually transmitted diseases (STDs) are infections that spread through sexual activity. STDs may or may not produce symptoms, but they can have severe consequences for females, developing babies during pregnancy, and breastfeeding infants. If you suspect that your daughter may have an STD, please do not hesitate to make an appointment with one of our GYNs as soon as possible. Many STDs are treatable, and we can educate your daughter on how to prevent getting or spreading them. The female doctors at Mission OB GYN are committed to providing compassionate care and support to pregnant teens in Warren, Michigan. Adolescent pregnancy carries unique risks, and it is important to receive prenatal care from the onset. At Mission Obstetrics and Gynecology, we offer pregnancy testing, support, education, and health care to ensure that teens and their developing baby are both healthy and safe. When the time comes, we will discuss delivery options and help your child select the best method for her. Don’t hesitate. Call our office today at (586) 574-1313 or request an appointment online for the comprehensive prenatal care your daughter and her baby deserve.